4.25" Dual-purpose brush with two sets of bristles on one head. One set of bristles cleans denture surfaces, while a second set of more angled bristles cleans removable partial appliances. 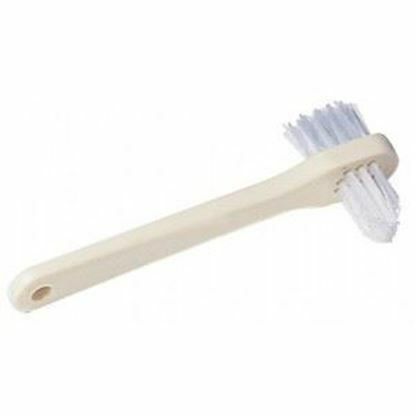 Dual-purpose brush with two sets of bristles on one head. 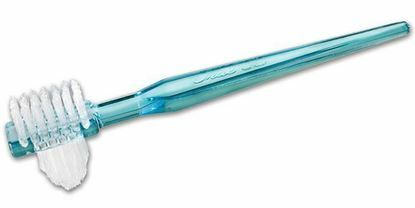 One set of bristles cleans denture surfaces, while a second set of more angled bristles cleans removable partial appliances.